Gen.G’s LCK regional qualifier assault continued tonight with an impressive 3-2 win against the Summer Split’s second place team, Griffin. Following their victory over SK Telecom T1 on Wednesday, Gen.G advanced to the second round of this year’s LCK regional qualifier, where waiting for them was, on paper, the strongest team in the gauntlet—Griffin. Only one game win away from seizing the LCK trophy from KT Rolster last week, Griffin were the overwhelming favorites in tonight’s match. But as tonight’s series progressed, Griffin didn’t look like the complete favorites they were hyped up to be. Instead it was Gen.G who was impressing viewers more often than not today, especially when comparing the different strategies each team brought out today. While Griffin tried and failed to bring back the AD carry Caitlyn and bot lane Vladimir today, Gen.G stayed true to their style, though with one new champion in the mix—Lissandra. 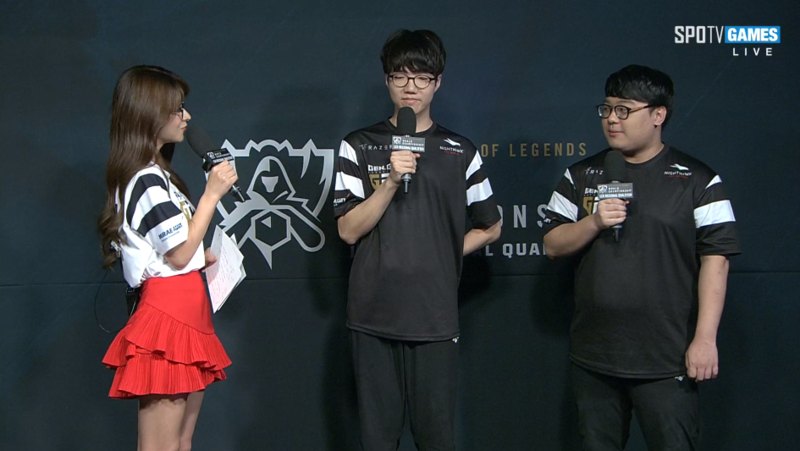 Thought to simply be Gen.G’s mid laner Lee “Crown” Min-ho’s counterpick to Lee “Faker” Sang-hyeok’s Akali on Wednesday, Lissandra reappeared once more tonight, demolishing Griffin through stuns and roots. While it wasn’t Crown racking up the kills as Lissandra, he was instead setting up most of those kills for his teammates with his ring of frost and frozen tomb abilities. Although they lost, Griffin were able to find two wins against Gen.G today through stellar carry performances from their mid laner, Jeong “Chovy” Ji-hoon. On Zoe and Aatrox, Chovy found early leads which he snowballed to victories. But in game five he was unable to find the same sort of huge lead as Yasuo. And without Chovy being extremely fed, Griffin floundered in late game teamfights since they had a defensively-built Vladimir instead of an AD carry. With their win today, Gen.G advance to the regional qualifier finals, where they will face the Spring Split champions, KINGZONE DragonX. The regional qualifier finals are set to start on Sept. 16, at 5pm KST or 3am CT.